The Beats Mixr are mid-sized headphones, but they don’t stick out of your head when you wear them. Other headphones use oversized headbands to ensure comfort when worn, but the Beats Mixr resolves this by using earcups that pivot on multiple joints to allow the headphones to fit your head better. The headband is slim with minimal padding, which can produce some discomfort when you wear them for the first time, but gradually disappears as you get used to them. This is just a small price to pay for its good looks. The earcups fold 90 degrees for single-ear, DJ-like listening, and 180 degrees right back up into the headband for convenient storage. A semi-hard case is bundled for stashing the headphones. The cabling on the Beats Mixr is quite notable because each earcup has a 3.5mm audio jack port. But you only need to connect to one to listen to your tunes, and then, you have the option to daisychain another pair of headphones on the other audio port to share music with a friend. There are two types of cables included in the package of the Beats Mixr: One is a straight cable that has a three-button remote for mobile devices, and the other is a spiral cable. A 3.5mm-to-6.3mm adapter is also available, which allows you to plug in to a music source more powerful than a regular music player. Like other Beats headphones, the Mixr is obsessed with bass. It is successful in providing low-end thrills that’s similar to actual subwoofers, hence the name “Beats.” Yet, at times, the headphones tend to create a noticeable separation between the bass and the rest of the audio, which pro listeners might not find amusing. Still, it provides a good frequency range, and the smooth, rich mids and treble are really easy on the ears. 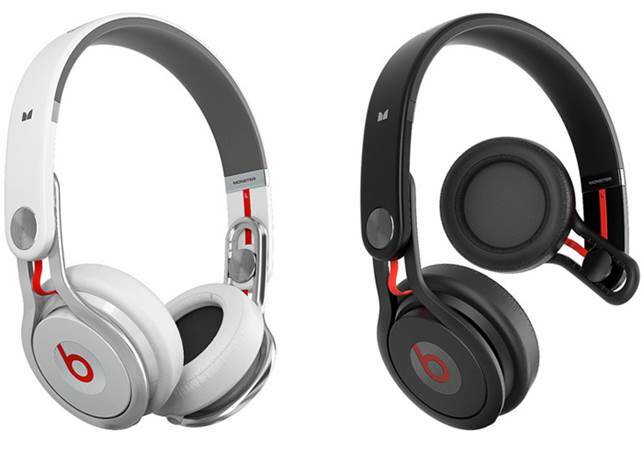 The Beats Mixr offers good sounds, designer looks, and durable cans with its sturdy build. The audio output is lively during prolonged listening, and though they are not made for all types of sound production, they work well as mainstream DJ headphones. 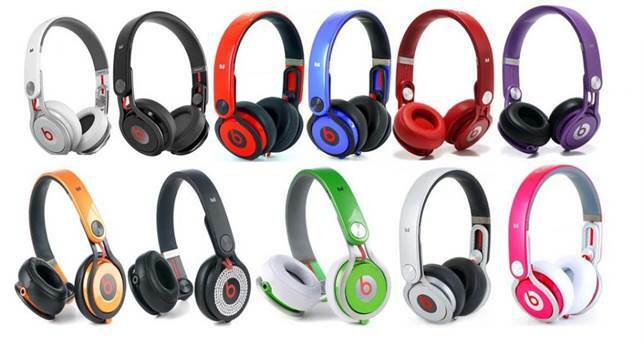 The Beats Mixr is available in eight colors, with six in flashing hues. It’s also available in black and white if you want your headphones low-key.